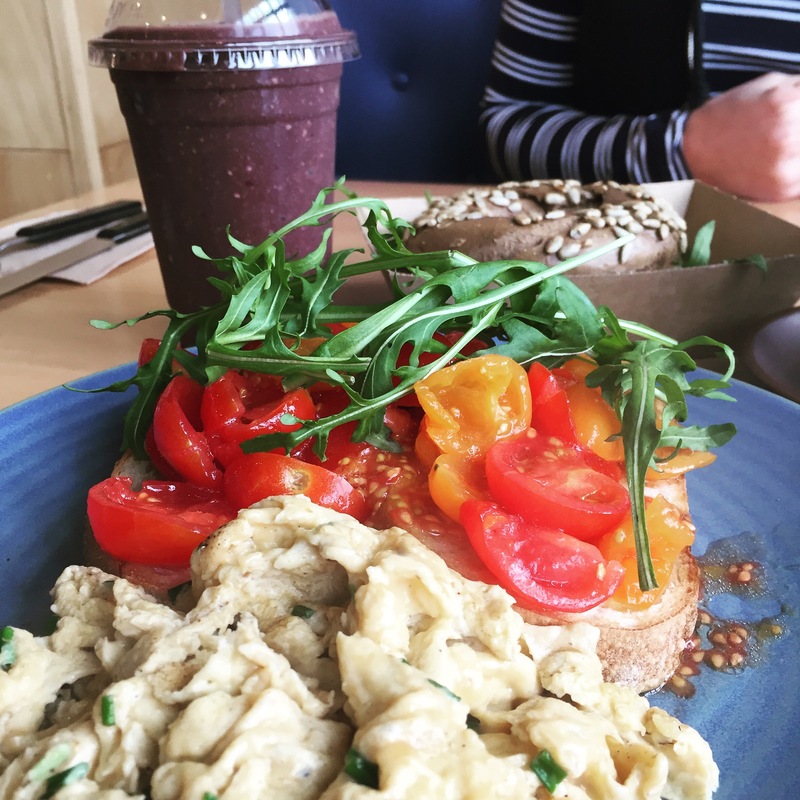 ​Bowen Arrow Cafe appealed to me not only for their great name and location but their food looked healthy, clean and fresh. Bowen Arrow opened around two months ago and is situated in bustling Bowen Hills. The menu was simple with a twist! It had all of the traditional brekky items with a little bit of something different. 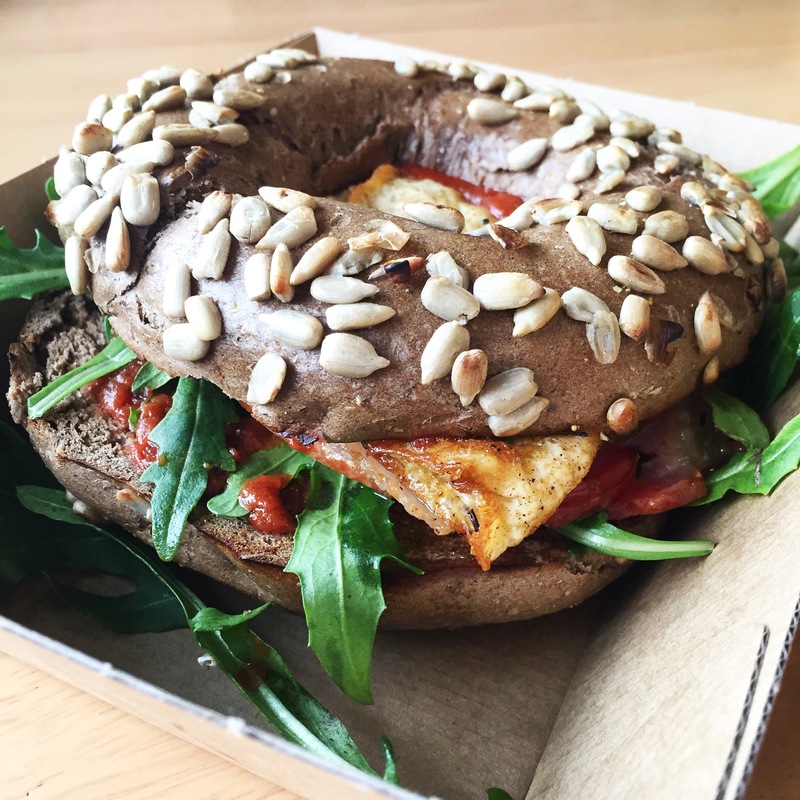 They offered a large variety of bagels so I decided to give them a try and had the “Bacon and Egg Bagel” with rocket and a tomato relish which you choose out of white, poppy seed, rye and one other option i cannot remember! I decided on the Rye and was not disappointed it came smothered in sunflower seeds and was very tasty! My partner in crime decided on the Breakfast Burschetta and added scrambled eggs for a very affordable extra $2. It arrived quickly and was colourful and fresh – although lacked seasoning. Finally, even though it is breakfast you have to have desert – right. 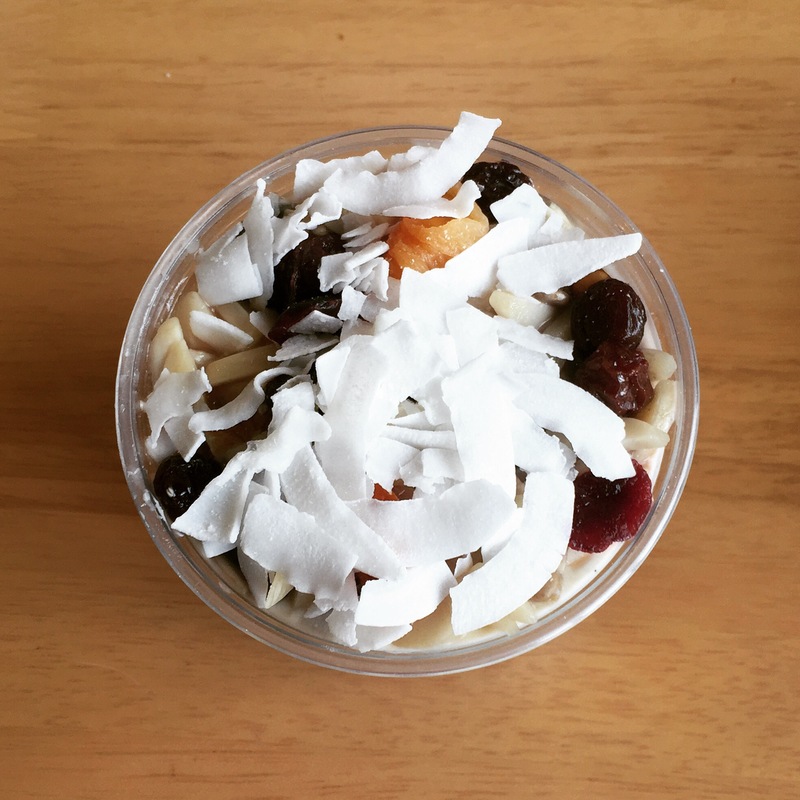 We shared the passionfruit yoghurt cups which were a great size and the nuts and fruit on top were a nice addition! It was a chilly morning so my dining partner opted for a soy Matcha Latte which was tasty but arrived warm. I chose the acai smoothie (Banana, Acai, Strawberries, Cranberries and Coconut Water) which was a yummy but needed to be blended longer as the cranberries made the consistency glugy and hard to drink from a straw. They serve locally roasted Dramanti coffee which has a great reputation smelt divine. They were very busy with take away coffee orders when we were there and they all came in the coolest take-away cups! The cafe is quite big. It offers a large dining area including a large communal table. Additionally, the kitchen is highly visible for customers which I think is a great touch. Bowen Arrow is a mere three minute walk from the train station and whilst in a great location by foot we found it difficult to find a park. The building is still relatively new so hopefully when the IGA opens maybe onsite parking will become available? The waitstaff are all very friendly and welcoming although better signage would be useful as we were unsure weather it was table or counter service. We asked and found out it was counter service but some other diners didn’t and walked out after sitting down and not being served!